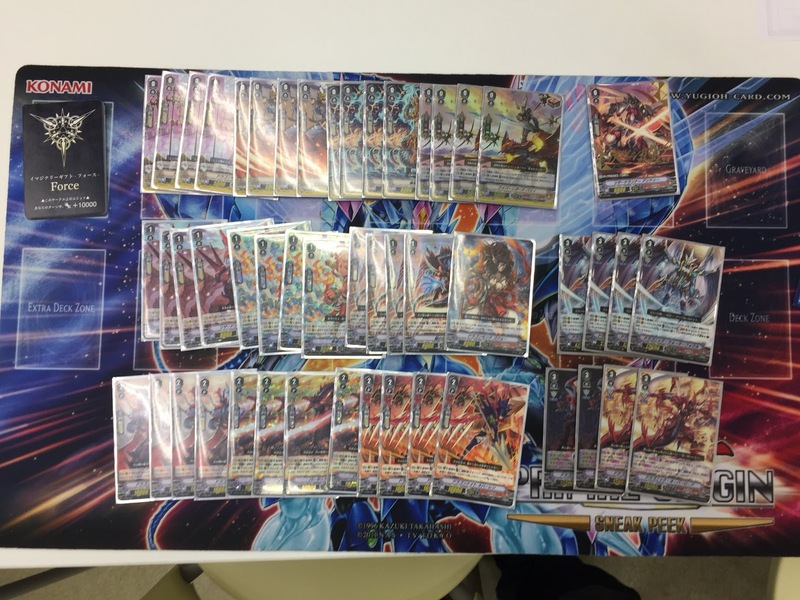 Oracle Think Tank is continuing to grow in dominance, rising from 29.82% → 42.22%. Royal Paladin has likewise risen, 19.30% → 22.22%. 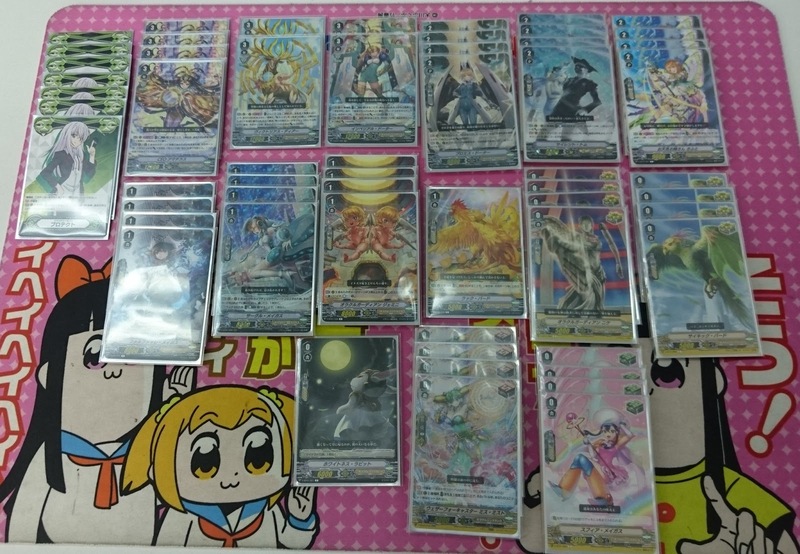 Nova Grappler tops dropped heavily compared to last week, from 13 wins to 4. We have participation numbers for 21 of these tournaments, the high being 27 and the low 5. There were a few 2-person tournaments that were not included in this and last week's breakdown, as it's hard to call a 2-person competition a "tournament." 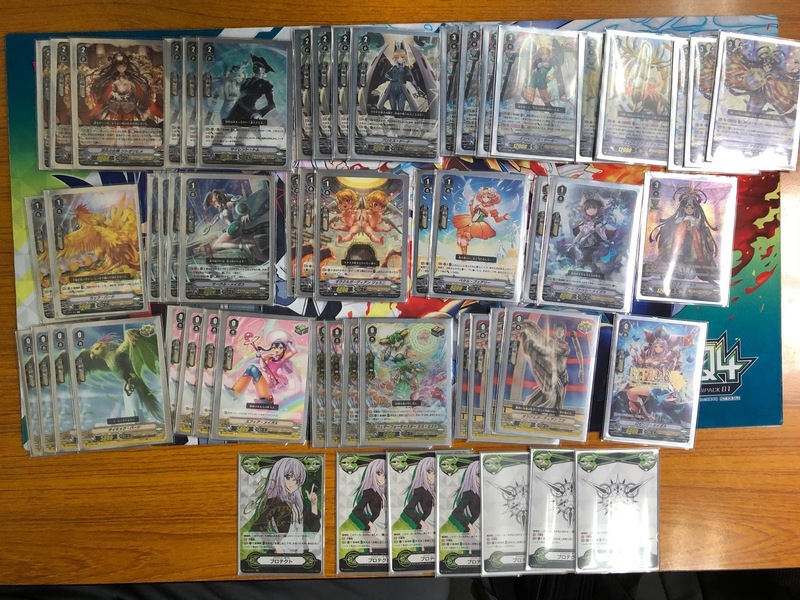 This is out of 45 reported results, 12 fewer than last week. The smaller sample size is partially responsible for Oracle Think Tank skewing higher. 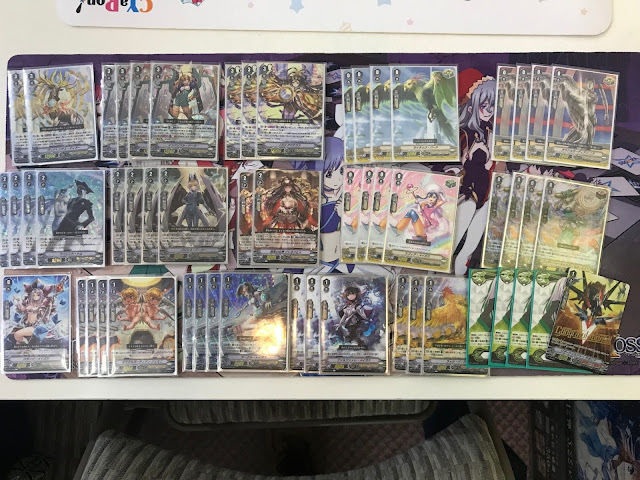 For the previous week's chart (05/25/18~06/01/18) see here. 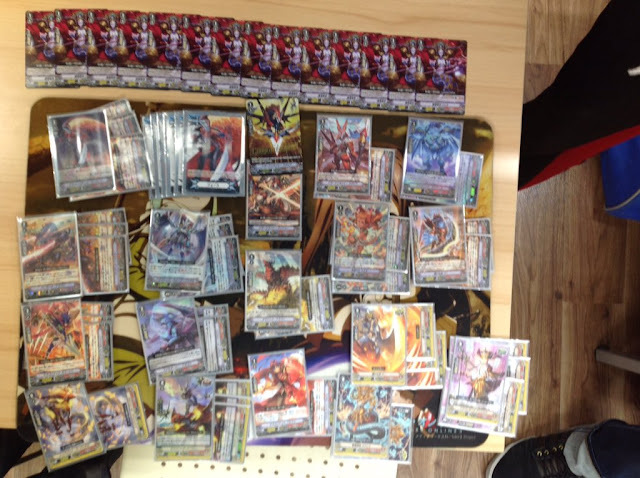 Full cumulative results will be posted at the end of the month. 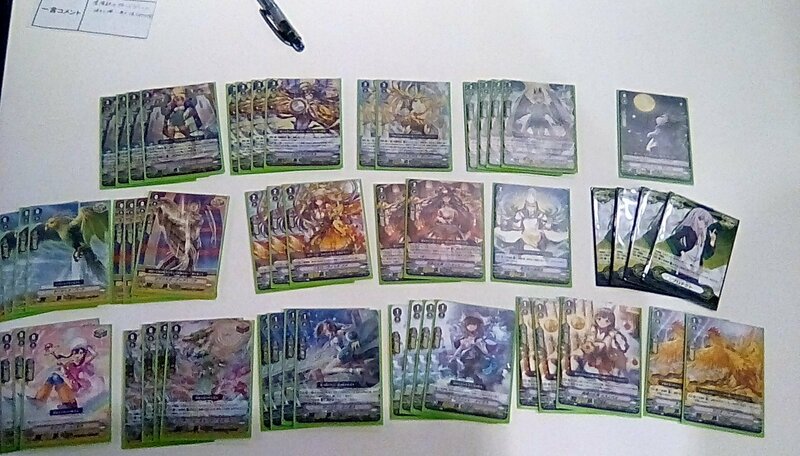 Overview: King of Knights is almost always a 4-of, Soul Saver Dragon averages a 3-of, and Alfred Early is most commonly at 1~2. Gigantech Charger was completely unused this week. 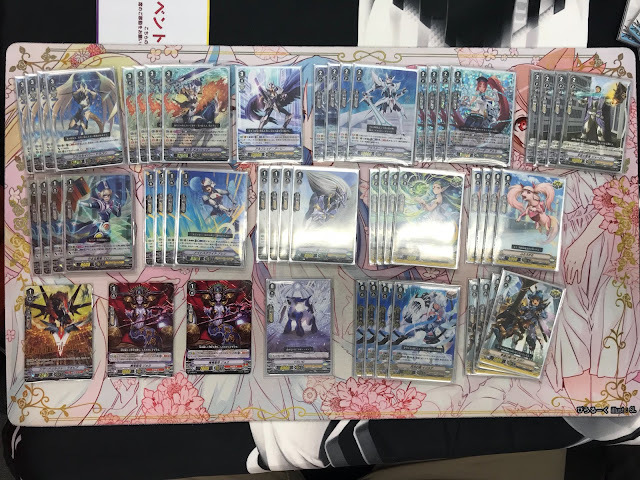 There continues to be no consensus on what to do with the third grade 2 slot; Blaster Blade and Akane continue to be staples, while Gallatin and the Trial Deck print of Jauron are about tied for usage. Only one fighter played Funnergal, and Mithril decks are in the minority. 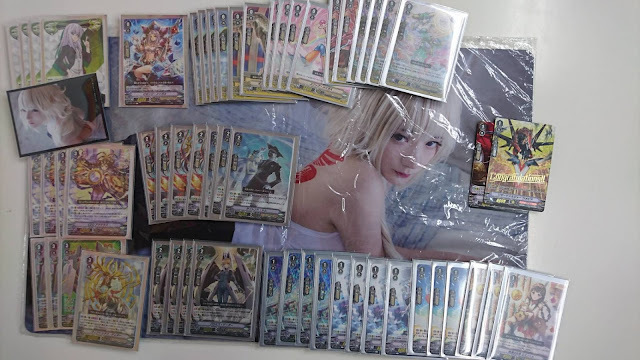 This week also brought our first top to not run Marron, see KMD Advantage below. Allen, Marron, and Pongal, remain the staple grade 1s, with the fourth slot divided between Wingal, Lion Mane, or nothing at all. 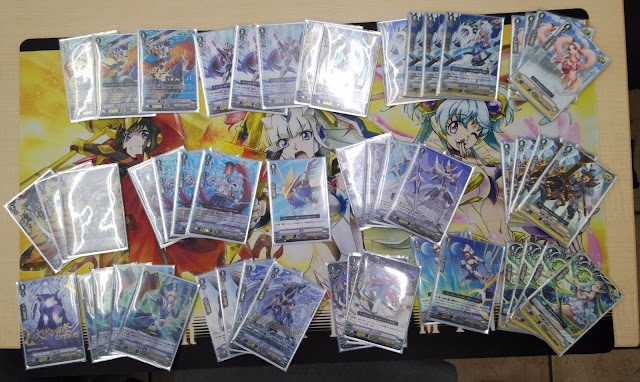 Week 2 decks ran an average 17.1 grade 0s, 13 grade 1s, 10.2 grade 2s, and 8.1 grade 3s. 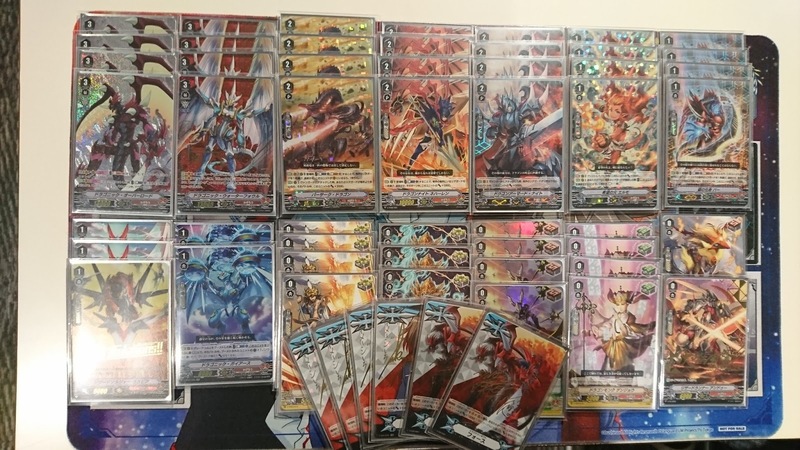 The cumulative average grade ratios for Royal Paladin are 17.05 grade 0s, 13.35 grade 1s, 10.96 grade 2s, and 8 grade 3s. 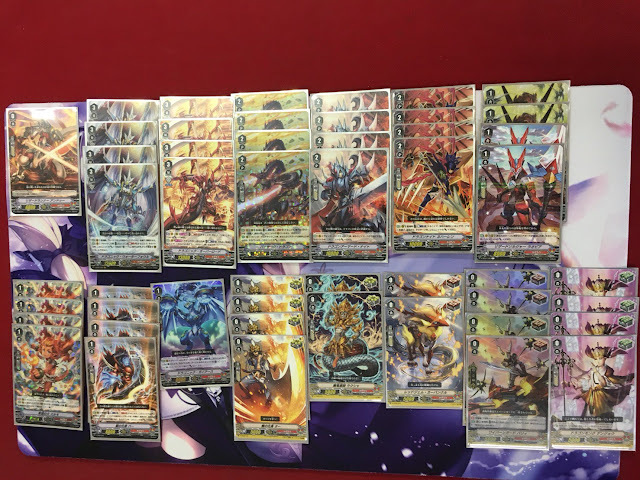 All Royal Paladin decks run 4 Heal 4 Draw 8 Crit. 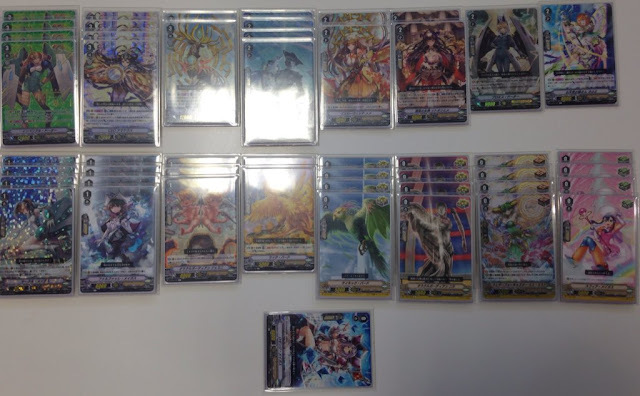 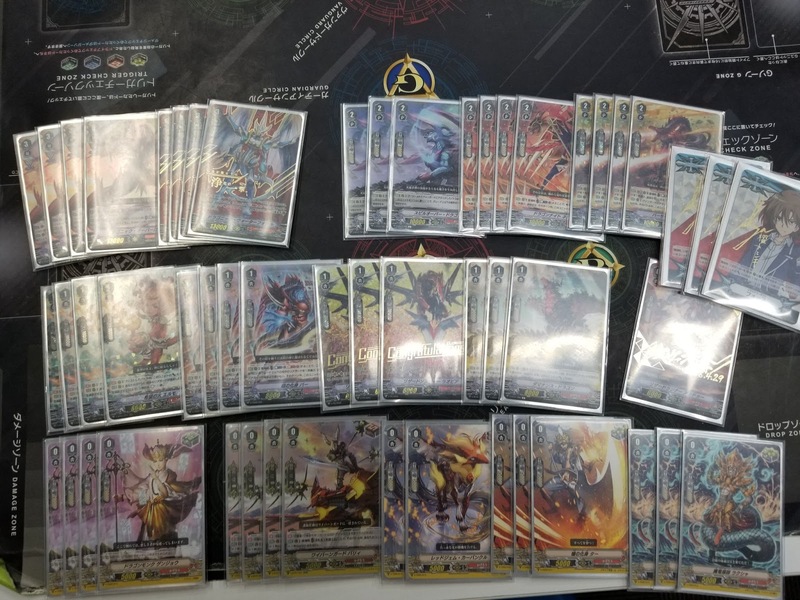 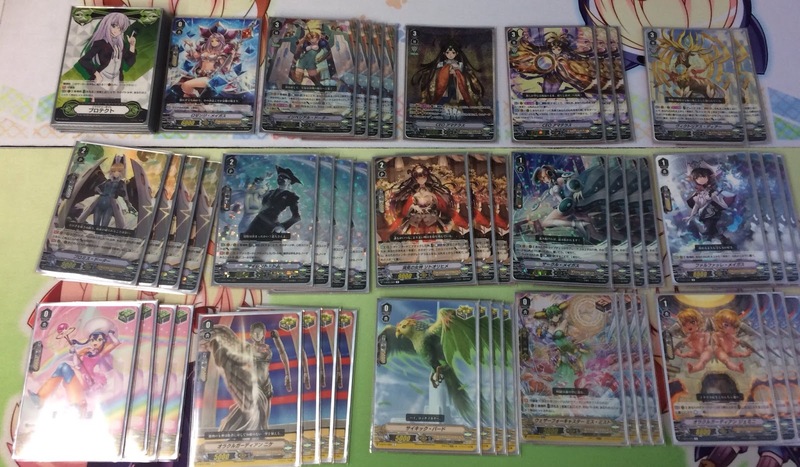 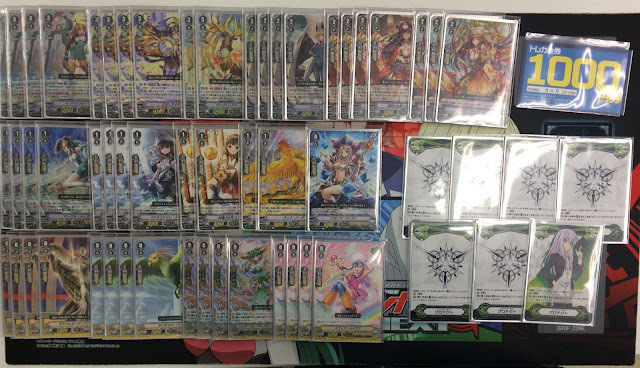 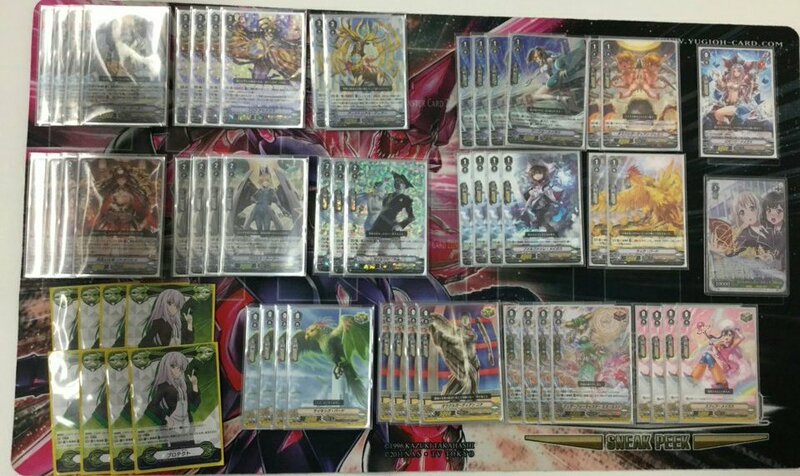 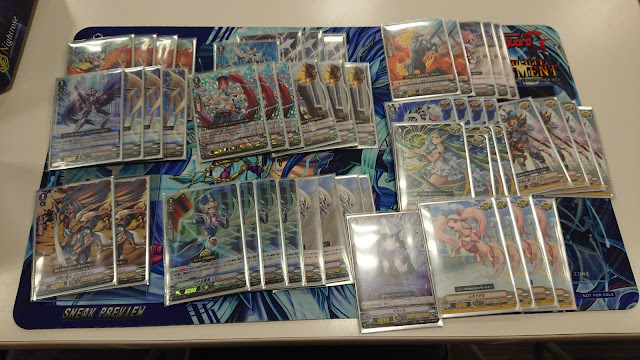 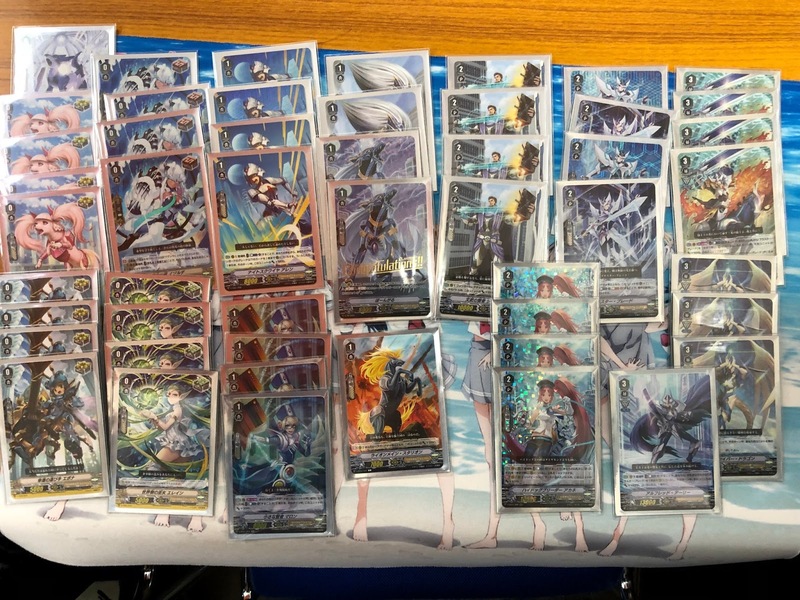 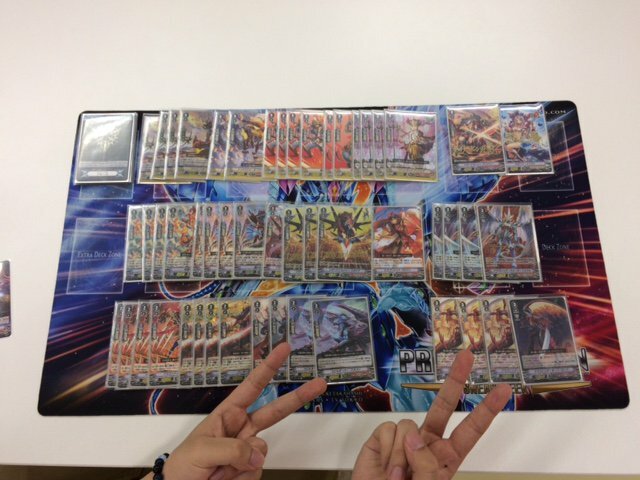 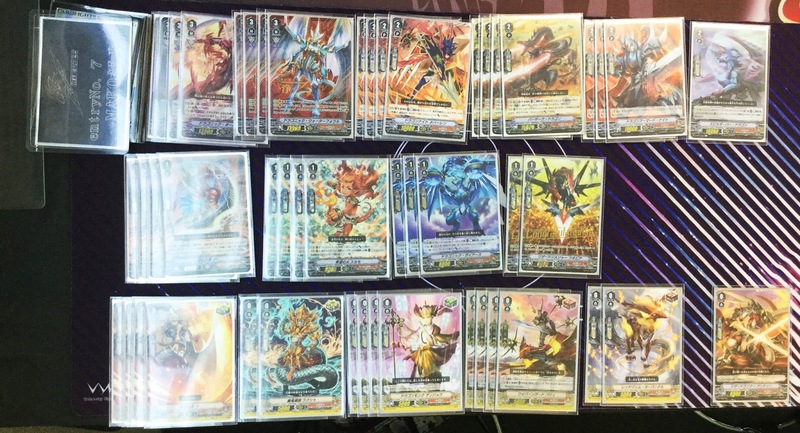 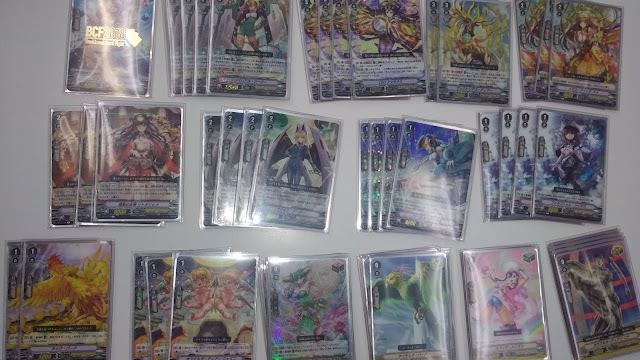 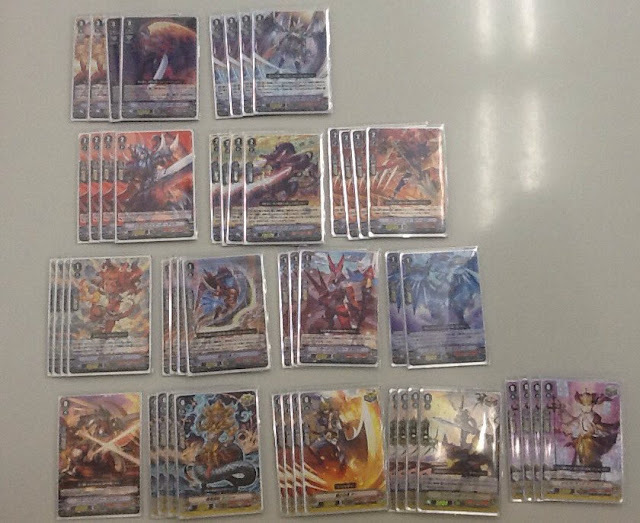 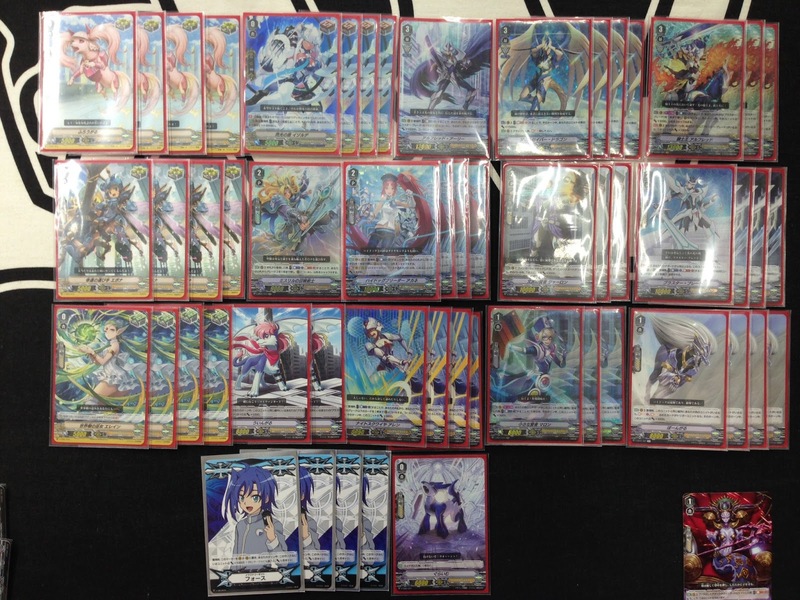 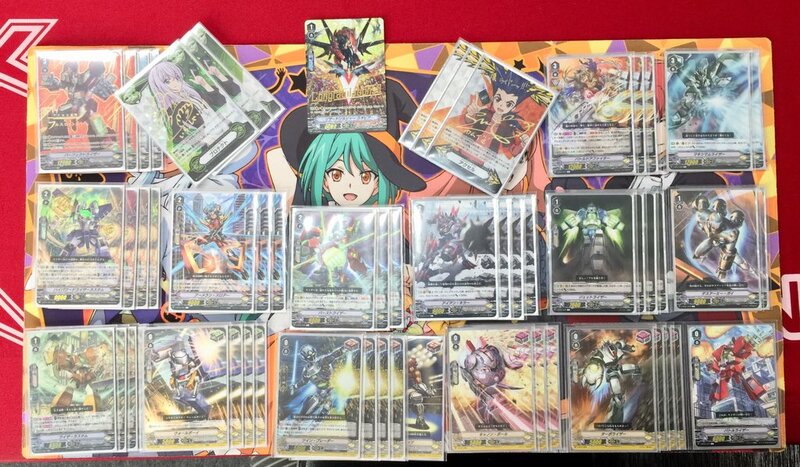 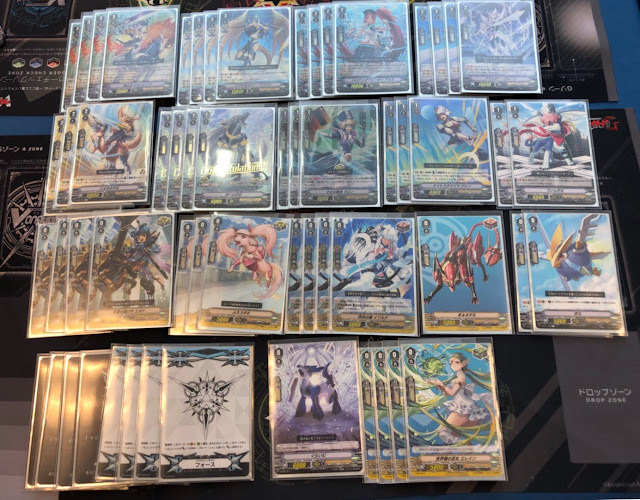 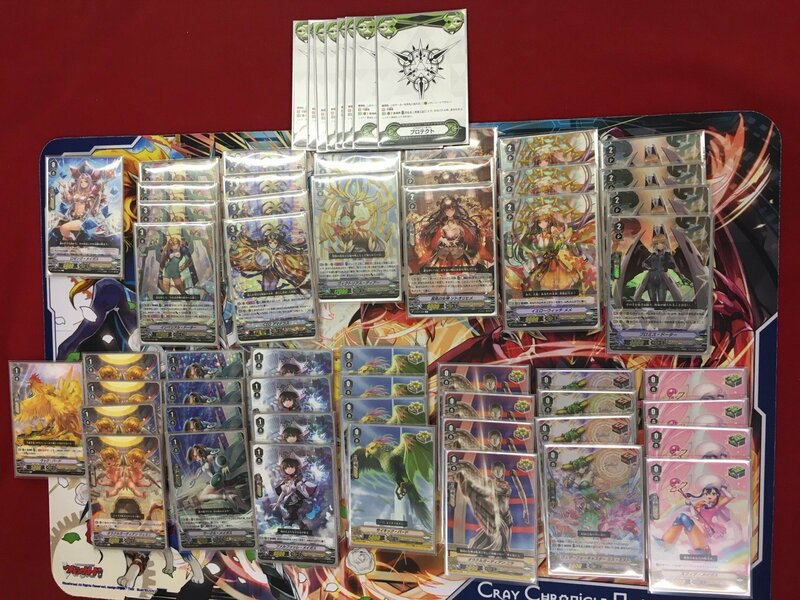 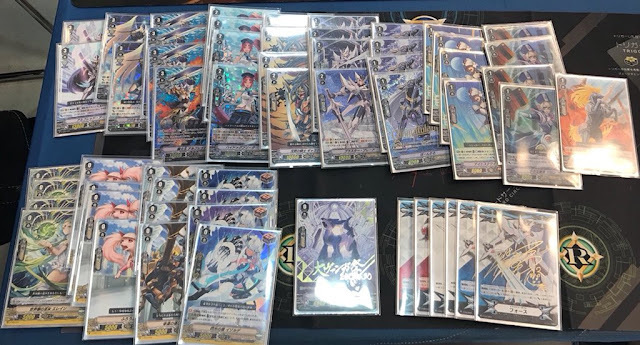 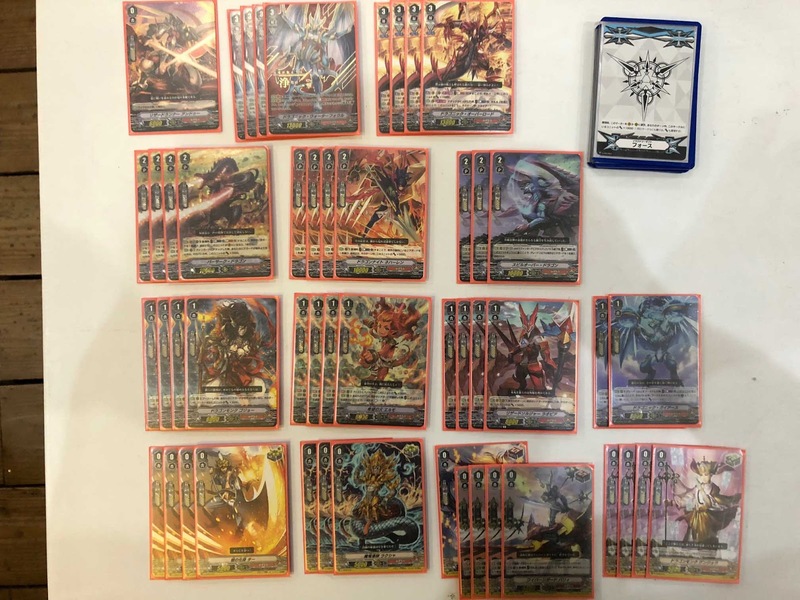 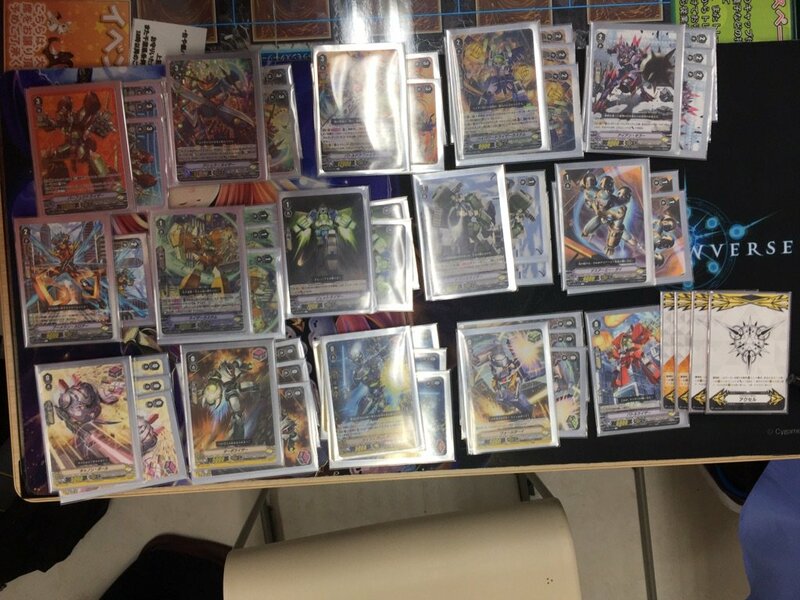 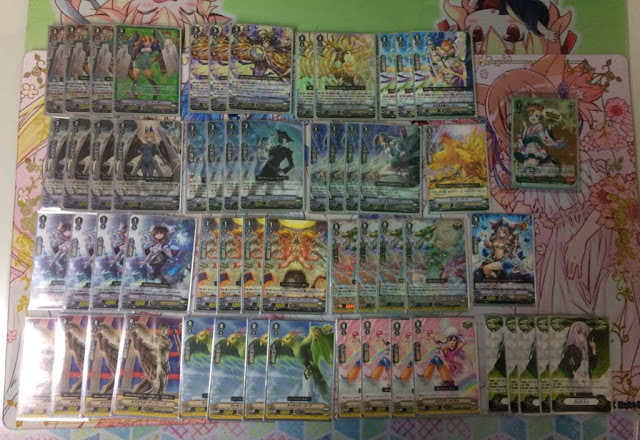 Overview: All Kagerо̄ decks run 4 Dragonic Overlord 4 Dragonic Waterfall, with Cruel Dragon usage dropping to just one tech in a single deck this week. 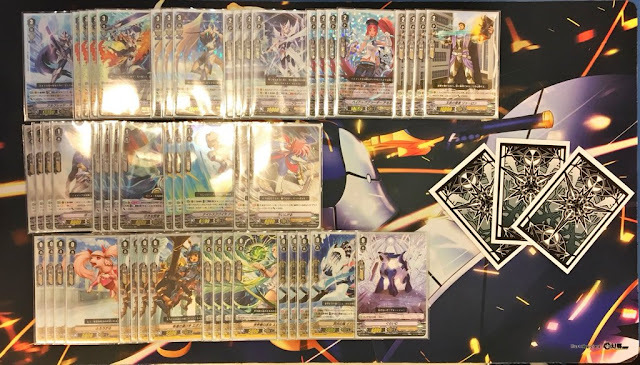 Berserk Dragon and Nehalem are now permanent fixtures of the deck, with fighters split on the usage of Dragon Armored Knight and Spillover Dragon--some literally running 2 of each. 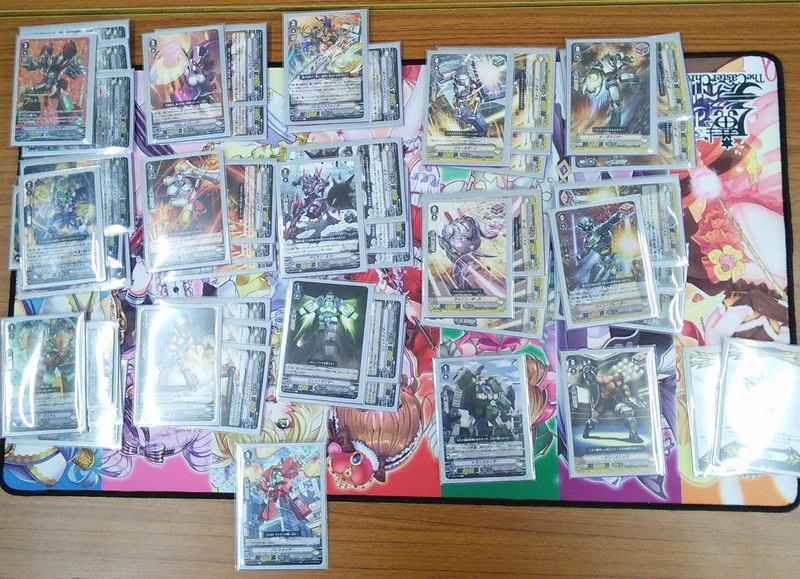 Views are likewise divided on whether to run the Trial Deck or Start Deck print of DAK. 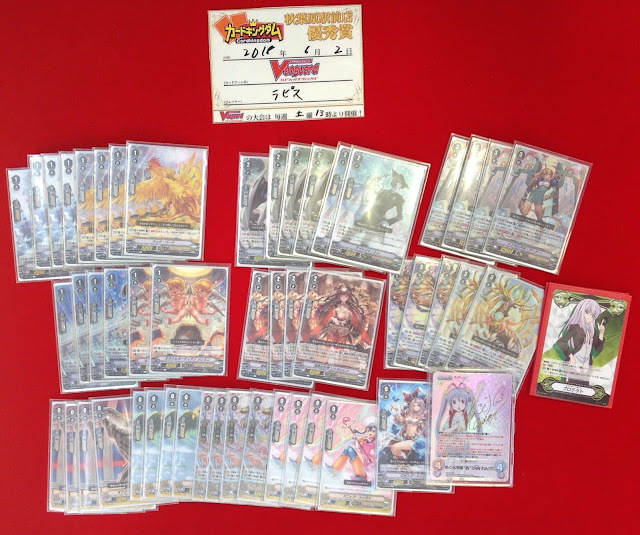 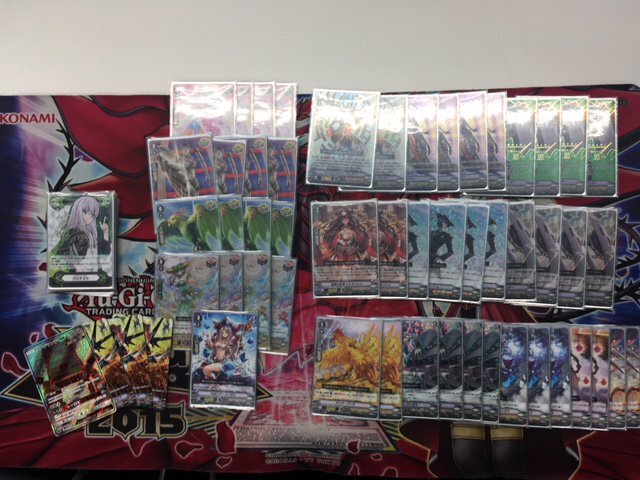 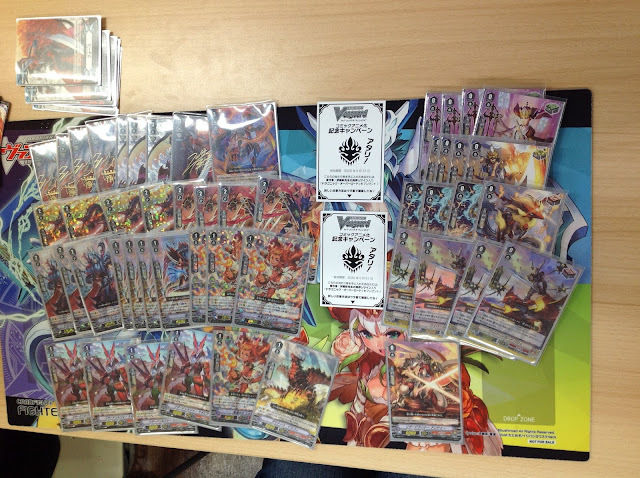 Week 2 Kagerо̄ decks ran an average 13.25 Grade 1s, 11.6 Grade 2s, and 8.08 grade 3s. 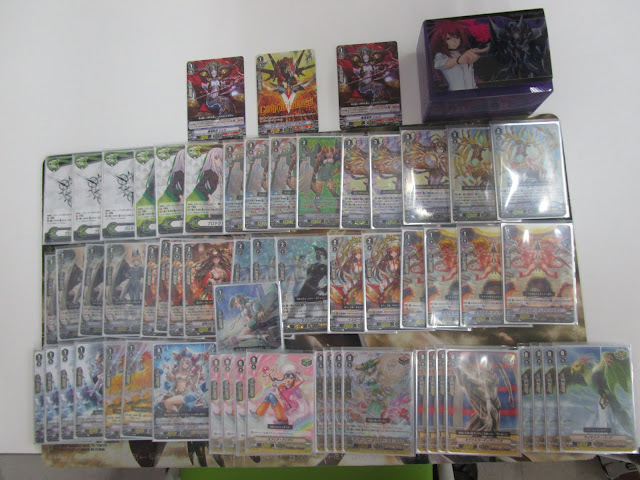 The cumulative average grade ratios for Kagerо̄ are 13.34 grade 1s, 11.46 grade 2s, and 8.17 grade 3s. 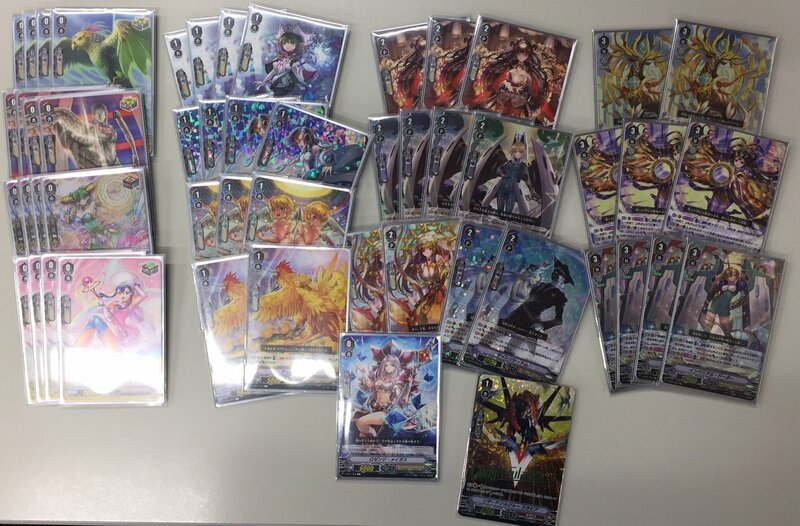 The average trigger lineup for Kagerо̄ this week is 4 Heal 5.33 Draw 6.66 Crit; the cumulative average trigger lineup for Kagerо̄ as a whole is 4 Heal 4.82 Draw 7.18 Crit. 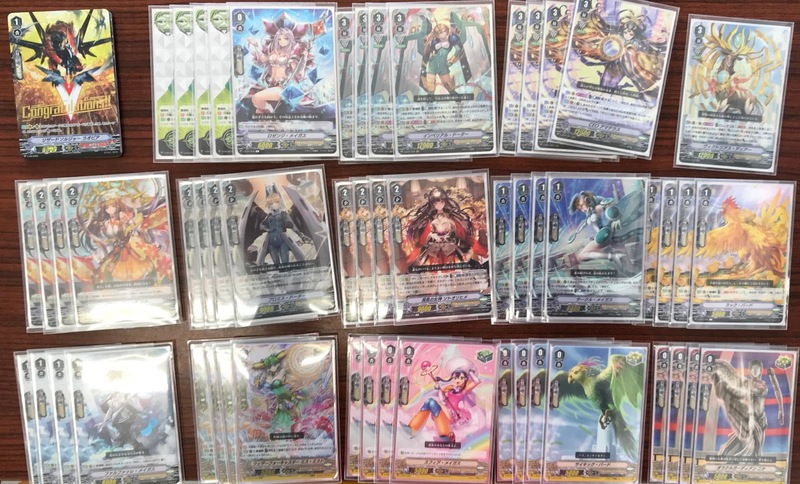 Overview: The go-to lineup for Oracle Think Tank remains 4 Imperial Daughter 4 CEO Amaterasu 2 Victorious Deer, with 4-3-2 and 4-4-1 builds coexisting with it. (No Oracle deck this week has topped without running Victorious.) Oracles have what is undeniably the most flexible grade 2 lineup of any clan in Standard, and this week we see decks running Silent Tom, Promise Daughter, Sotoorihime, MeMe, Saft, and even Onmyoji of the Moonlit Night. 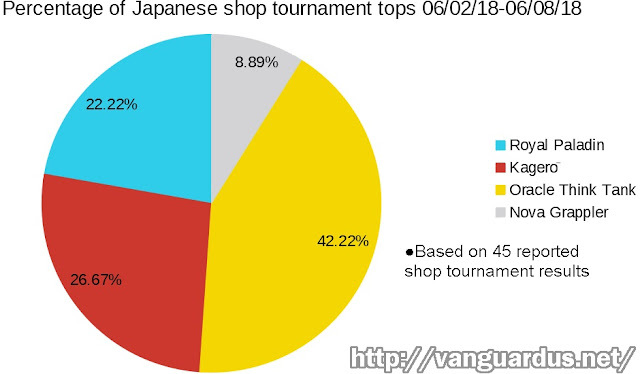 Essentially every grade 2 in the clan save for Solid Turtle has been used by a top-placing fighter. 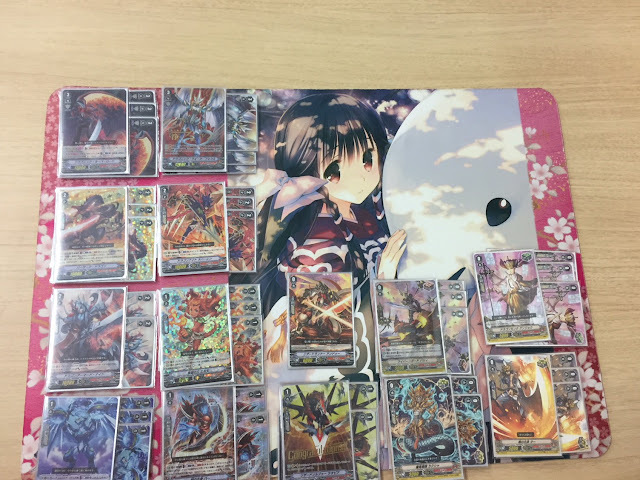 For the grade 1s, Circle Magus continues to be run at 4 in most decks. (See the Card Labo Koufu list for the exception.) 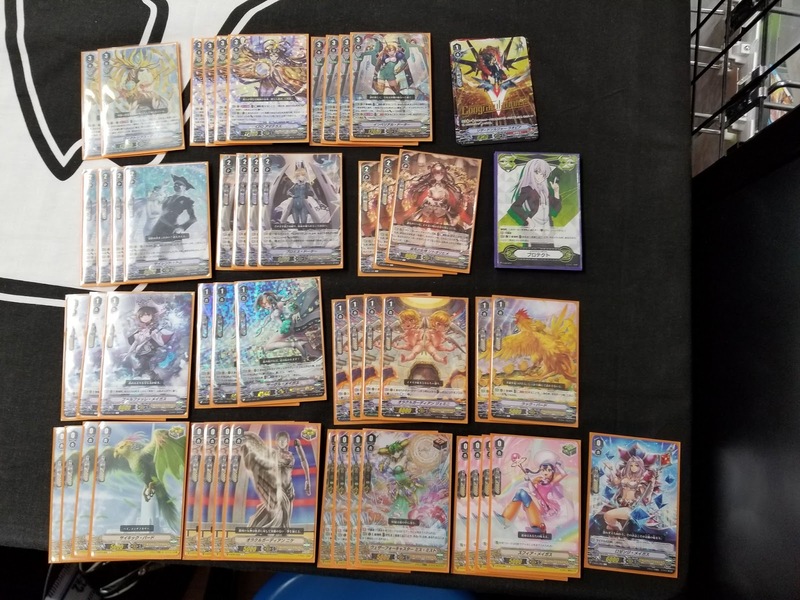 Majority preference for the remaining slots goes in descending order to Farfalle Magus, Luck Bird, and Oracle Guardian Gemini. Some decks run Petal Fairy or Mizunohame in place of Gemini. The average grade ratios for Oracle Think Tank this week are 17 grade 0s, 12.79 grade 1s, 10.74 grade 2s, and 9.47 grade 3s. The cumulative average grade ratios are 12.8 grade 1s, 10.81 grade 2s, and 9.41 grade 3s. The average trigger lineup for Oracle Think Tank this week is 4 Heal 4.11 Draw 7.89 Crit; the cumulative average trigger lineup for the clan is 4 Heal 4.17 Draw 7.82 Crit. Overview: Being the least-represented clan out of V-BT01, it's hard to draw conclusions from so few tops. 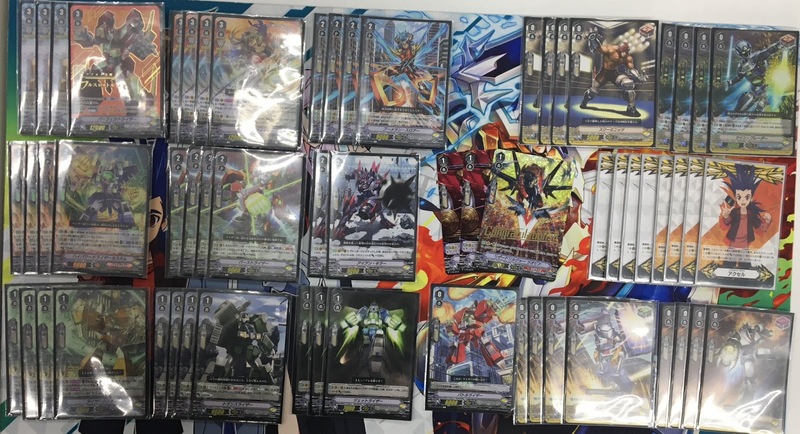 Perfect Raizer and Battledore Fighter are the overall preferred grade 3s this week, though surprisingly Miss Splendor did appear in another hybrid Hero-Raizer list. Hi-powered Raizer Custom continues to be the top grade 2 for the clan, with Iron Killer in #2, and Burstraizer and Boomerang Thrower competing for the last slot. 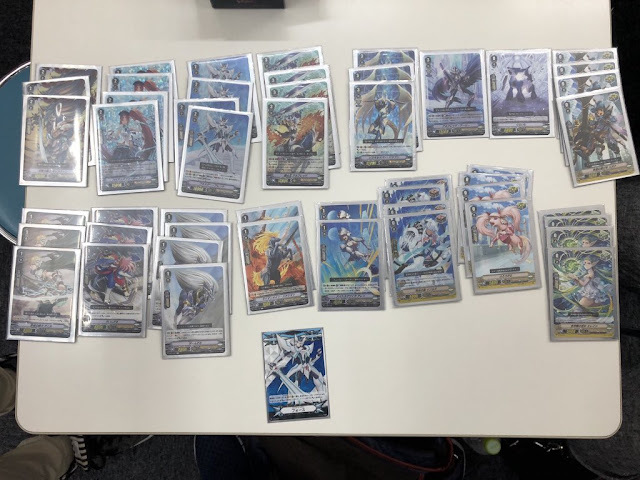 Raizer Custom and Jetraizer are the commonalities between these decks, with Death Army Guy being substituted for Rocket Hammer Man in the mixed Hero deck. 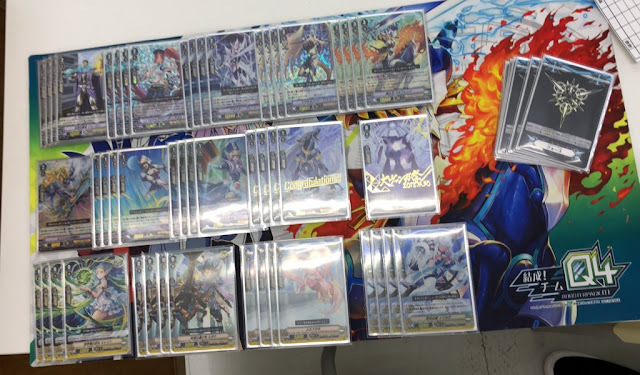 The average grade ratios for Nova Grappler this week are 17 grade 0s, 11.5 grade 1s, 12.5 grade 2s, and 9 grade 3s; the average cumulative ratios are 11.29 grade 1s, 12.37 grade 2s, and 8.7 grade 3s. 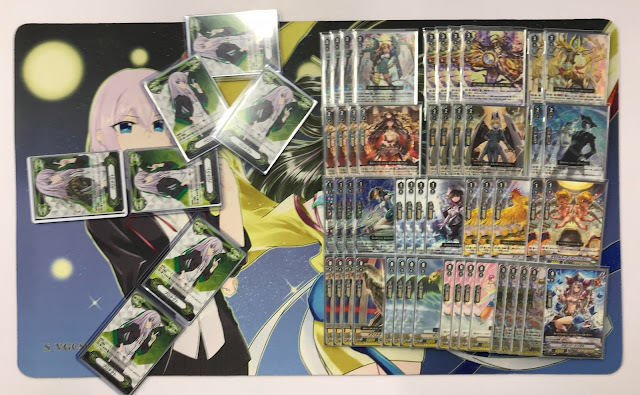 The average trigger ratio for this week is 4 Heal 5.25 Draw 6.75 Front 0 Critical, and the average cumulative trigger ratio is 3.85 Heal 5.47 Draw 6.34 Front 0.5 Critical.